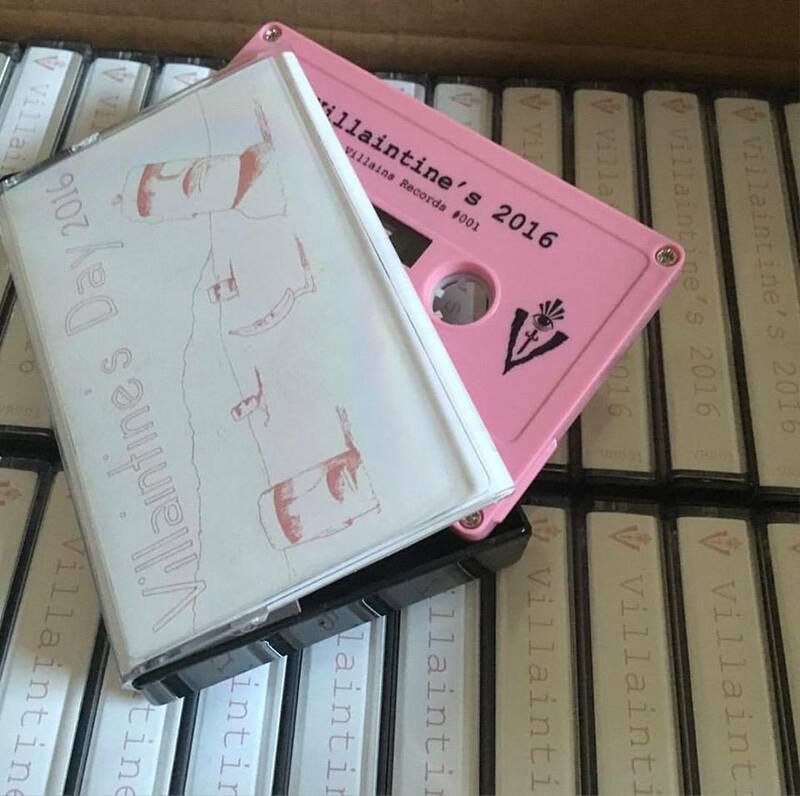 We had the Villaintine’s 2016 release party at The Merrow in Hillcrest. When I asked the sound guy, Arlo, if we could play the cassette between bands he looked at me like I was crazy, but I presented him with a tape deck and he made it happen. The show featured comp contributors Joe St. Thomas, Post Attraction, Giant Surprise and Mariel. And I think Opie still holds the record on the punching bag game they have at The Merrow.